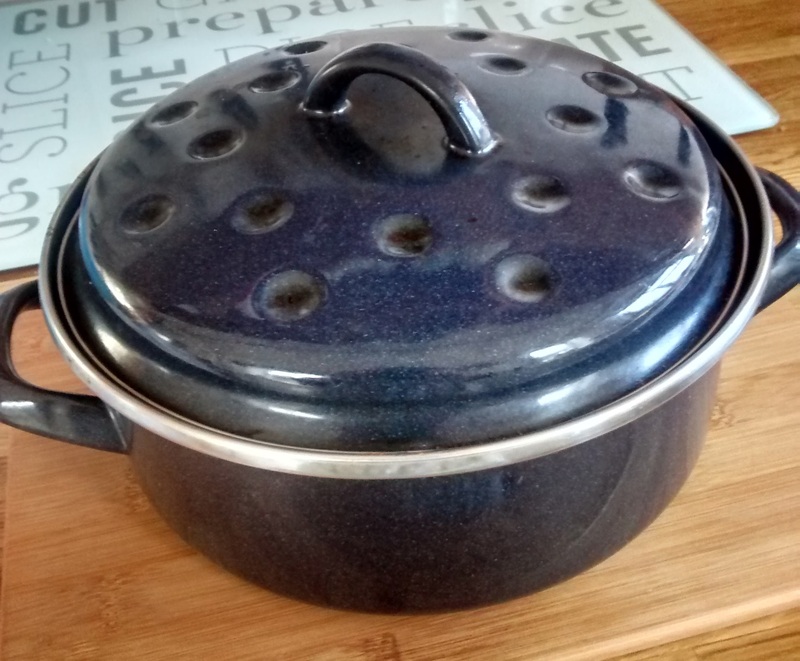 The word gulasz comes from the Hungarian gulyás and is the word for a casserole or stew. In Hungary the meat would most likely have been beef but in Poland it is either pork or beef. When beef is used it is usually called węgierski – Hungarian style. 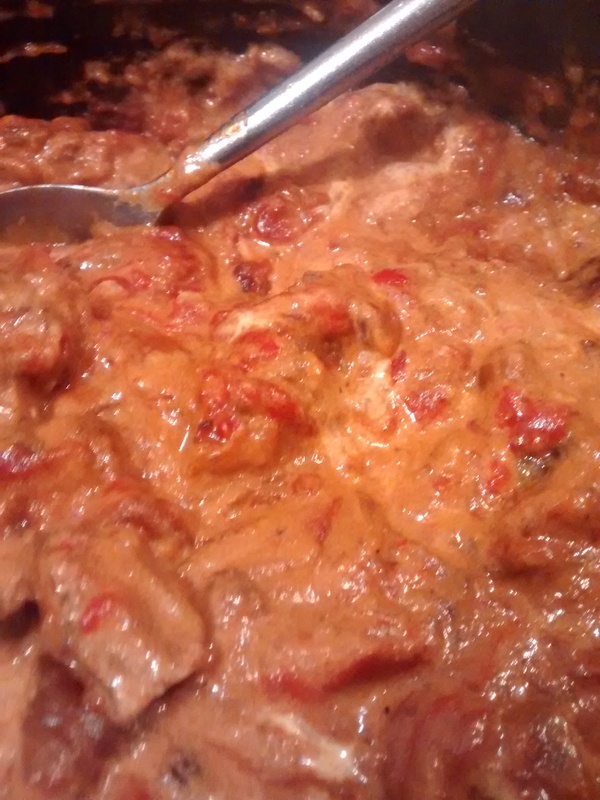 As stewing steak used to be more readily available in England than casserole pork my mother made this with beef. I make this with either beef or pork, both are delicious as the slow cooking and tomato purée give an intense rich flavour. 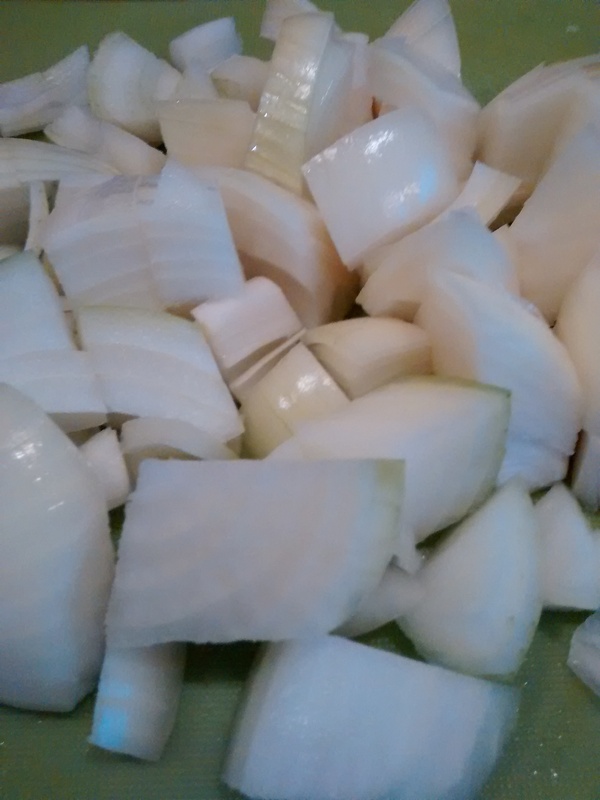 Roughly chop the onions and crush the garlic. 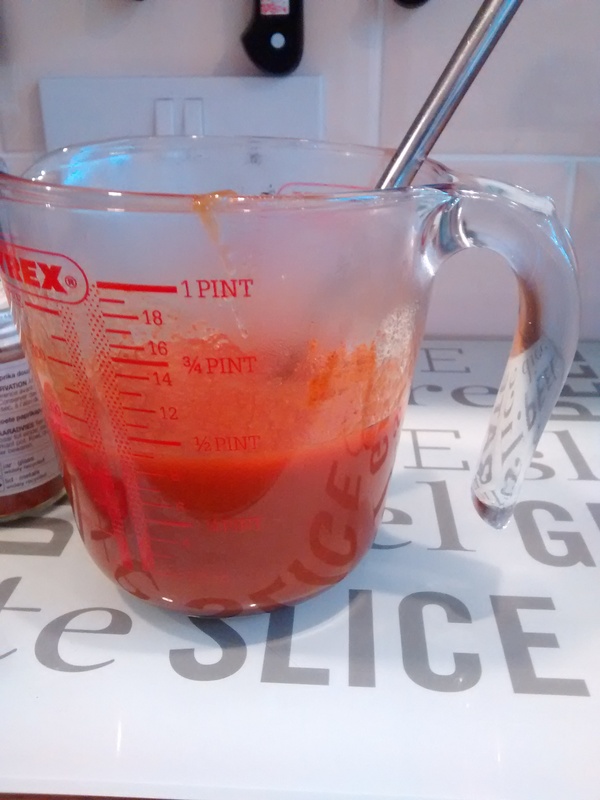 Mix the tomato purée and the paprika into the stock. 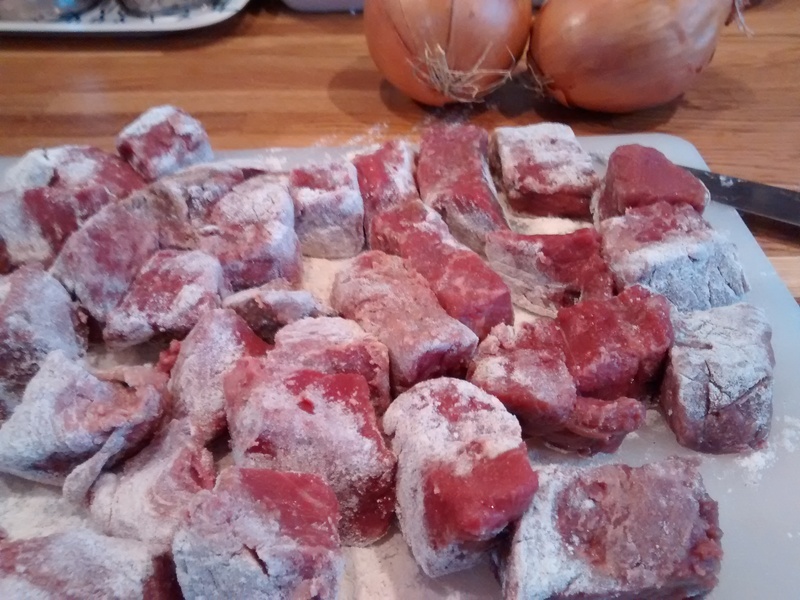 Cut the meat into cubes and coat the pieces in a mixture of flour, salt and ground pepper. In a frying pan heat the oil until it is hot and fry the meat until all the sides are sealed. Place the meat into a casserole dish. 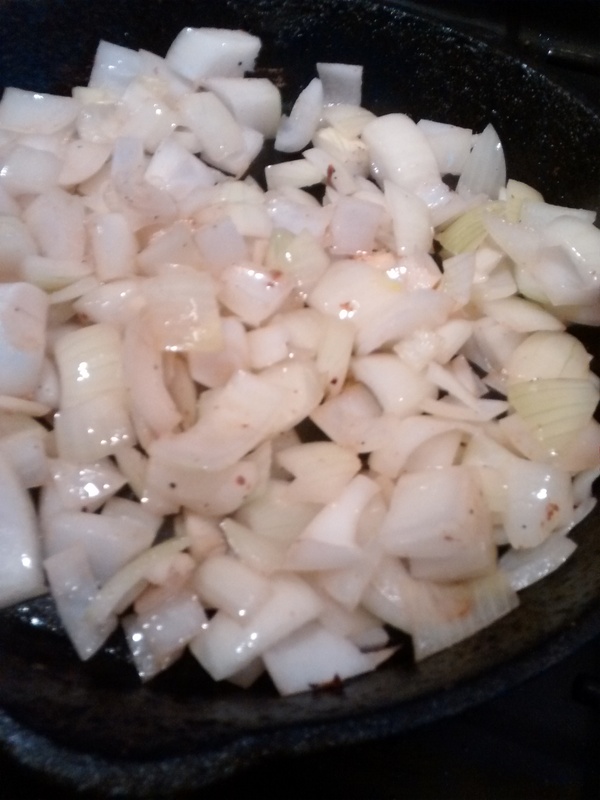 Fry the garlic and onions in the frying pan, adding some oil if necessary but trying not to use too much or the dish will be greasy. Add the onions to the meat then add the bay leaf and some more ground pepper. Pour the stock mixture into the casserole dish and put on the lid. Cook in the oven until the meat is tender, this could be about 3 ½ hours to 4 ½ hours but often I find it needs longer. węgierski placek – Hungarian pancake. Make this a day ahead of when you need it, cook the dish for at least 3 hours and leave it to cool. The next day cook it again for at least 1 hour, you might have to add a little water or stock but not too much, the sauce should be thick not watery. Nowadays I often make gulasz using a slow cooker instead of the oven. I made a gulasz using pork shoulder and cooked it in the slow cooker for 8 hours. All houses in Poland have cellars and even people living in block of flats have a cellar area of their own; if you ever get the chance to look in these you will find that they are filled with: jams, preserves, bottled fruit and vegetables, sauerkraut and salted gherkins. 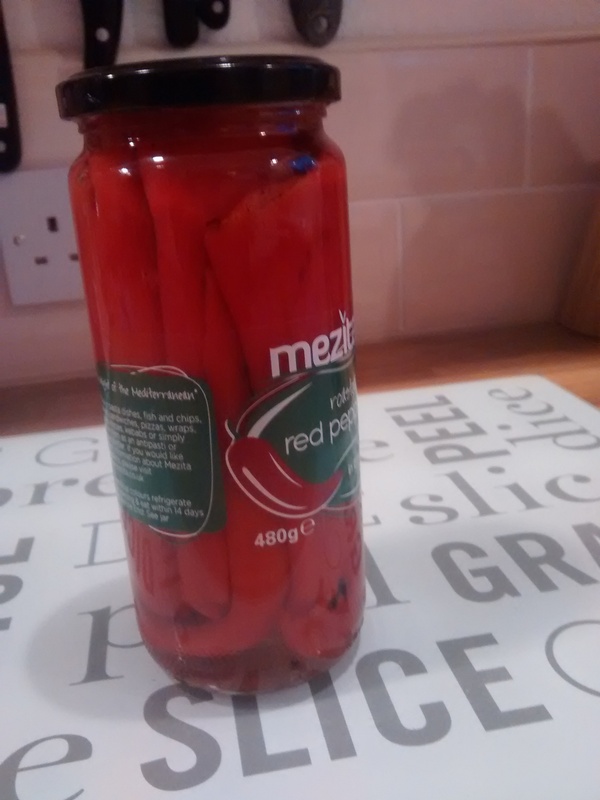 Bottled sweet red peppers in brine are often found amongst these jars. The addition of the peppers from one of these jars to the gulasz makes it even better. Of course if like me you do not have the home-made variety you can buy these from most delicatessens or supermarkets now. You can use fresh red peppers and I use these when they are plentiful, either will make a delicious gulasz but I think I like ones with the bottled peppers best. 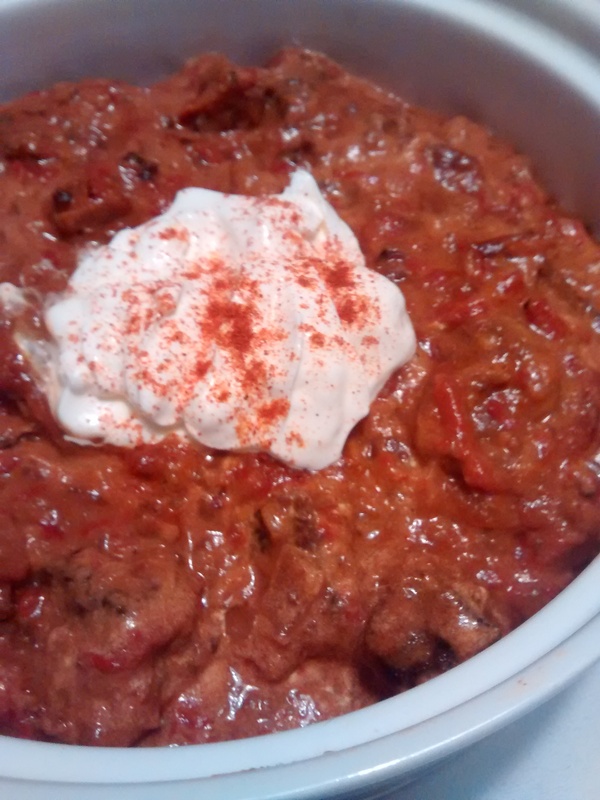 The recipe is a variation on the classic gulasz but you have to use less stock or you will end up with it being too watery due the water content of the peppers – especially the fresh ones. Cook in the oven until the meat is tender, this could be about 3 ½ to 4 hours but often I find it needs longer. 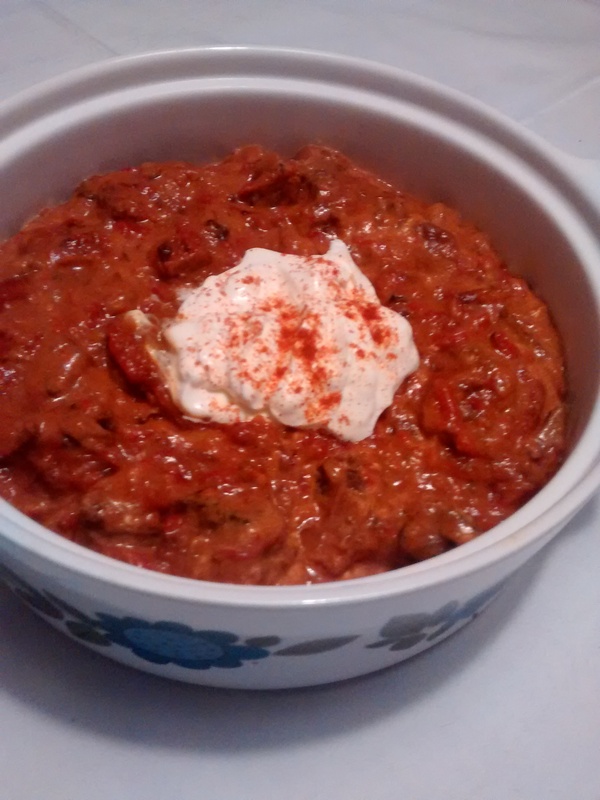 When you are ready to serve the gulasz, mix in one to two tablespoons of soured cream and then put the other tablespoon of soured cream on top in the centre and dust some extra paprika on this. Serve as for the classic style gulasz. 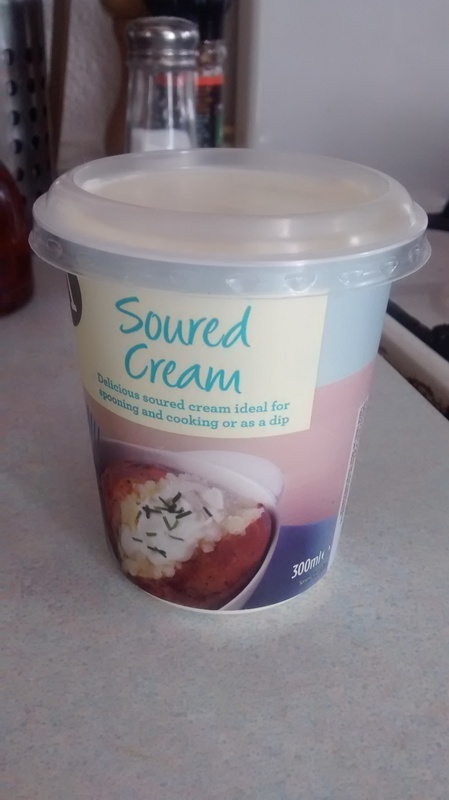 Trying this tomorrow – the recipe made my mouth water!